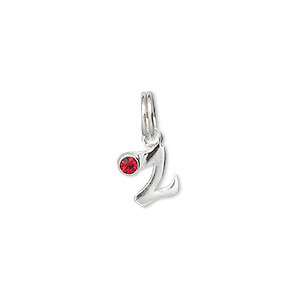 Charm, sterling silver and Swarovski® crystal rhinestone, red, 8x8mm alphabet letter Z. Sold individually. Fine quality, highly polished solid sterling silver charms with Swarovski® crystal rhinestone accents. All have split ring for easy and quick change customization. 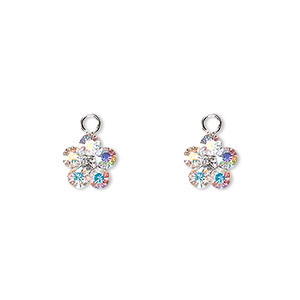 Charm, Swarovski® crystals and sterling silver, crystal AB, 8x8mm flower. Sold per pkg of 2. Charm, Swarovski® crystals and sterling silver, amethyst, 8x8mm flower. Sold per pkg of 2. 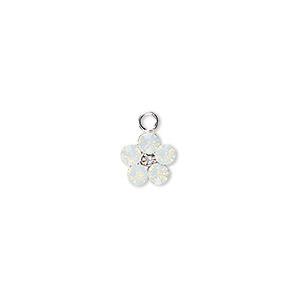 Charm, Swarovski® crystals and sterling silver, Montana, 8x8mm flower. Sold per pkg of 2. 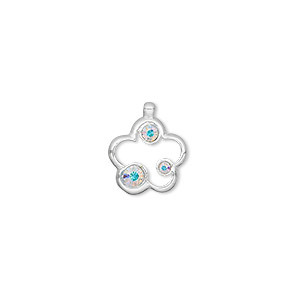 Charm, Swarovski® crystals and sterling silver, turquoise, 8x8mm flower. Sold per pkg of 2. 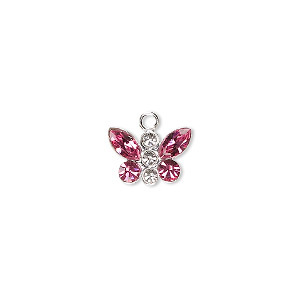 Charm, Swarovski® crystals and sterling silver, crystal clear and amethyst, 12x8mm butterfly. Sold individually. Charm, sterling silver and Swarovski rhinestone alphabet letter I, clear, 10x3mm. Sold individually. Charm, sterling silver and Swarovski® crystals, clear AB, 13x12mm open flower. Sold individually.